Dark and musky agarwood balanced out with sweet vanilla. A softer agarwood fragrance, perfect for relaxation. 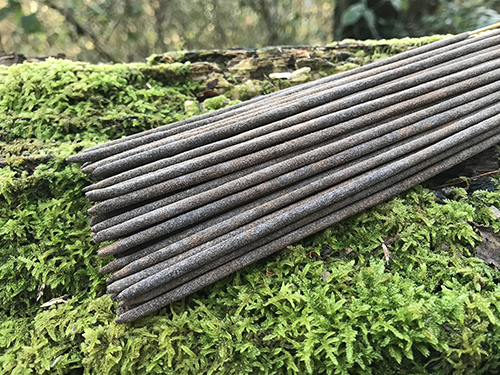 Agarwood has been used in incense and perfumery the world over for thousands of years, thought to evoke the feelings of spirituality, enlightenment, clarity and calm necessary for mediation and a life of tranquility. This incense is scented with agarwood oil, sandalwood oil and vanilla oil. These ingredients are added to our all-natural incense base. 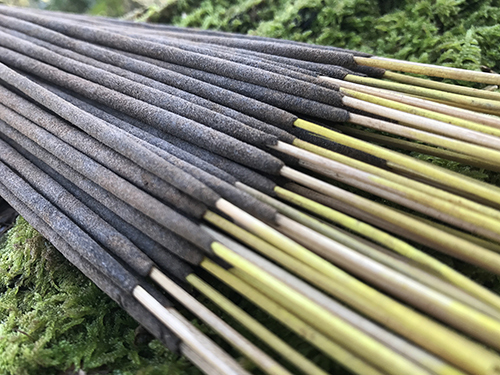 This is made up primarily of bamboo charcoal (a very eco-friendly charcoal), sandalwood and vanilla powder, bound with resins and gums, like frankincense. This is all mixed together by hand before being rolled onto thin bamboo sticks.